As the default media player in Windows operating system, Windows Media Player (abbreviated WMP), makes it easy to play audio, video and view images for Windows users. AVI stands for Audio Video Interleave, which is a multimedia container format created by Microsoft, that ordinarily, Windows Media Player has no problems opening and playing. However, many AVI files contain video streams that are encoded using codecs that Windows Media Player cannot normally interpret, like like Xvid, DivX, DX50, MP4V, – and when you attempt to playback such a file, you will likely just hear the audio stream. Other people may encounter other problems when trying to playing AVI in Windows Media Player. Download Pavtube Video Converter. Install and launch the program. 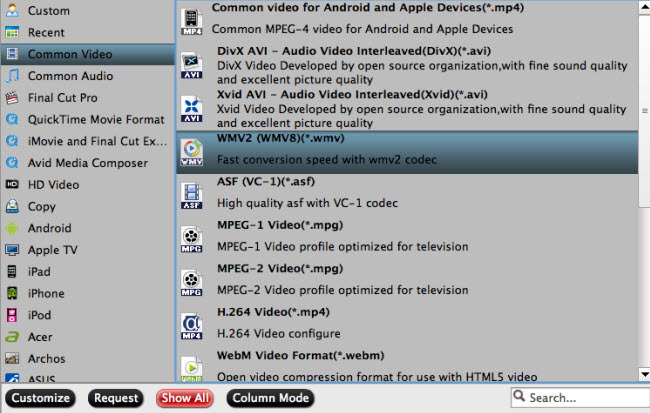 Directly drag and drop your AVI files to Pavtube Video Converter. You can load multiple files at one time.